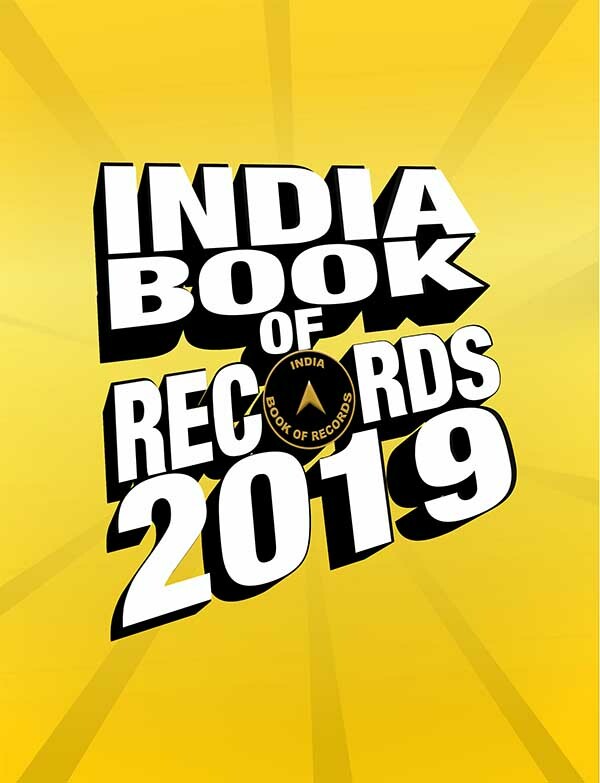 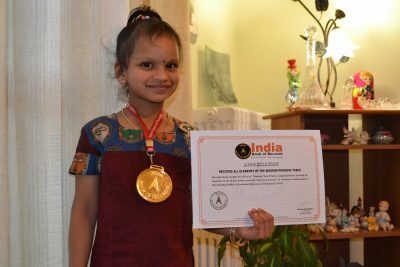 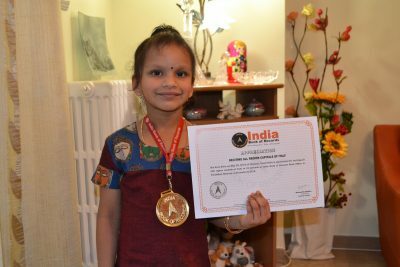 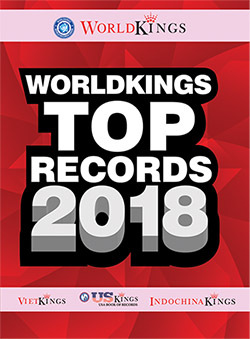 Ria Arun (born on May 28, 2014) of Kotturpuram, Chennai, Tamil Nadu is appreciated for reciting all (29) state capitals and (7) union territories of India in 48 seconds at India Book of Records Head office in Faridabad, Haryana on December 9, 2018. 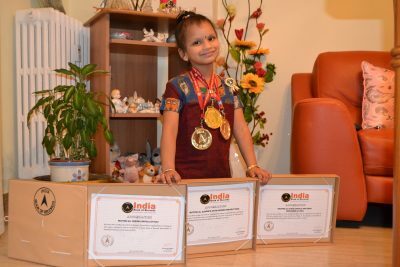 Ria Arun (born on May 28, 2014) of Kotturpuram, Chennai, Tamil Nadu is appreciated for reciting all (20) region capitals of Italy in 35 seconds at India Book of Records Head office in Faridabad, Haryana on December 9, 2018. 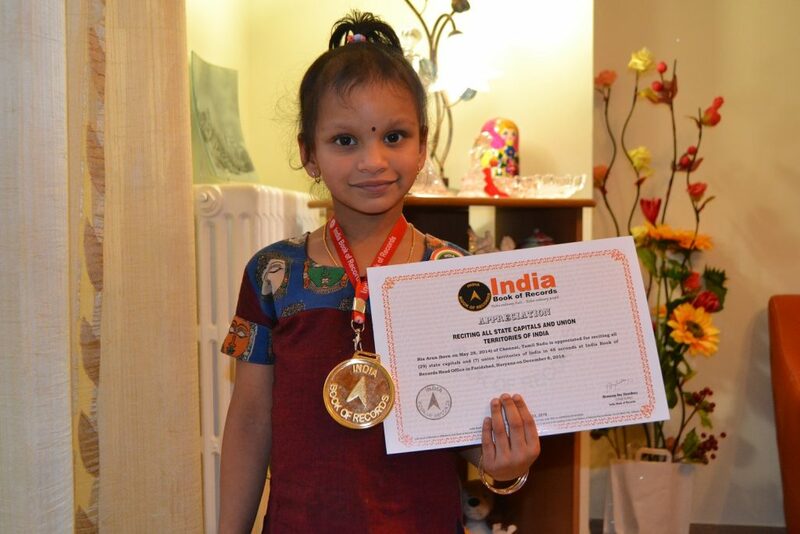 Ria Arun (born on May 28, 2014) of Kotturpuram, Chennai, Tamil Nadu is appreciated for reciting all elements (118) of the modern periodic table in 2 minutes 18 seconds at India Book of Records Head office in Faridabad, Haryana on December 9, 2018.